Umpiring is a fantastic way to get involved with Netball, whilst keeping fit and earning money. 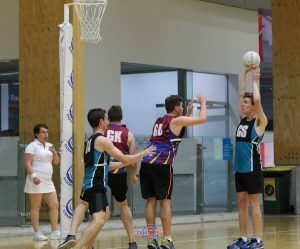 With Mens Netball in NSW growing at a rapid rate, there are plenty of opportunities for people to get involved with the sport and earn money at the same time. You will be appointed to matches which are held on Sunday evenings, so there are plenty of opportunities to umpire. Throughout the season you will be provided with one on one coaching – so you won’t be dropped into the deep end. Umpires are responsible for managing a netball game both on and off the ground. To the players, coaches, officials and spectators the match in which they are participating is the most important match played that day. The rules of netball explain how a game is played so that it is played fairly and safely. All Umpires must clearly know and recall the rules of the game in order to perform their role as umpires. Umpiring is a fun and challenging part of Mens Netball. If you are interested in Umpiring M league, then complete the below form.